For most visitors, a trip to Kyoto Prefecture means a trip to Kyoto City. Given the abundance of cultural treasures within the city limits and the fact that most people face time and budget constraints, it’s the rare tourist who can get out and see what lies beyond the ancient capital’s teeming temples. Yet Kyoto is not just a city but also a prefecture that extends across to the Sea of Japan. Located less than two hours from central Kyoto City, the port city of Maizuru is a world away from the Kyoto of popular imagination. Those weary of temples, shrines, and rock gardens and in search of an offbeat “Kyoto” adventure, a sense of recent, not ancient, history, and a taste for Cold War spy novels may find this port city on the Sea of Japan an enticing day trip. Maizuru is more than another beautiful seaside town; it’s home to the closest Japanese Navy base to North Korea. There’s a slight film-noir feel to this place. Until about seven years ago, the police box in front of Higashi Maizuru Station had a poster up asking people to report sightings of strange men in rubber rafts landing on the beach in the dead of night. During the Cold War, North Korean military uniforms, complete with photos of Kim Il Sung and Kim Jong Il in the front pockets, once washed up on beaches a few miles north of Maizuru. Even today, fisherman occasionally report seeing strange lights along the beaches or boats without lights at night running into the many coves around Maizuru harbor. Until last year’s ban, North Korean cargo ships regularly visited Maizuru, taking back with them everything from blankets to used bicycles, the latter of which, according to conspiracy buffs, were melted down and turned into weapons for the North Korean military. And Maizuru was the home port of a Japanese Maritime-Self Defense Forces ship that fired on a suspected North Korean vessel deep in Japanese waters back in 1999, the first time since World War II that a Japanese military vessel had fired a shot in anger. Though it’s unlikely you will find North Korean spies in Maizuru these days, there is still much of recent historical interest, beginning with the Maizuru Repatriation Memorial Museum and Park. During World War II, about 570,000 Japanese soldiers were sent to the Soviet Union, of whom about 472,000 ended up in Siberian POW camps by the end of the war. Getting the soldiers back home would prove to be a lengthy undertaking. The first repatriation ship arrived in Maizuru on Oct. 7, 1945, just two months after Japan’s surrender, and the last one docked on Sept. 7, 1958. After 1950, Maizuru become the only port in Japan to receive repatriated soldiers, many of whom were physically and spiritually broken. Between 1945 and 1958, more than 664,000 soldiers who had been stranded in the Soviet Union and China, including most of the POWs in Siberia, arrived home via Maizuru. 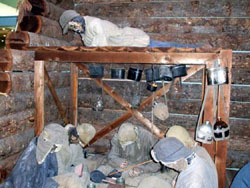 The repatriation museum features exhibition halls with letters, diaries, books, and other artifacts of the POWs, as well as displays and dioramas that describe life in the POW camps and the harsh conditions they were forced to endure, especially in winter. There is a small memorial park just outside the museum, while the remains of the landing dock of the ships bringing the POWs home lies at the bottom of the hill on which the museum and park are situated. 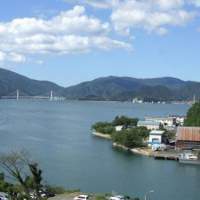 Long before World War II, however, Maizuru was the home port of Japanese naval commander Heihachiro Togo, who won fame in 1905 by destroying nearly two-thirds of Russia’s fleet in the Battle of Tsushima, the decisive battle of the Russo-Japanese War of 1904-05. The Maizuru Naval Museum is part of the old naval school at Maizuru, and has about 200 displays on the history of the base. The museum is on the grounds of, and run by, the Maritime Self-Defense Forces. And if you want to see the ships of the modern Maritime Self-Defense Forces, tours can be arranged of the pier where various vessels are docked. You need to call in advance (tel. 62-2250) to book a tour, though, as they are only given on weekends and are available only in Japanese. The legacy of the Imperial Japanese Navy’s Fleet Admiral Togo continues today in Maizuru in the form of food and drink. 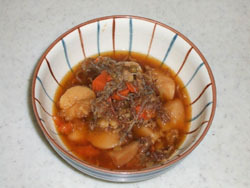 No visit would be complete with a dish of nikujaga (meat-and-potato stew), which is the city’s official dish. 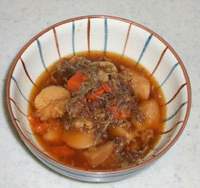 The quickest way to start a conversation, or an argument, with the locals is to inquire whether Maizuru or Kure, the naval port near Hiroshima, is where this now ubiquitous Japanese dish was first introduced. Maizuru insists it was Togo who first brought it to their city after seeing it was a staple part of the British Navy’s diet. And while Togo did not bring coffee to Japan (the Dutch are believed to have introduced it in Nagasaki in the 17th century), that hasn’t stopped Maizuru from selling “genuine” ground coffee as enjoyed by Togo and Japan’s Imperial Navy of long ago at the Higashi-Maizuru Station kiosk. 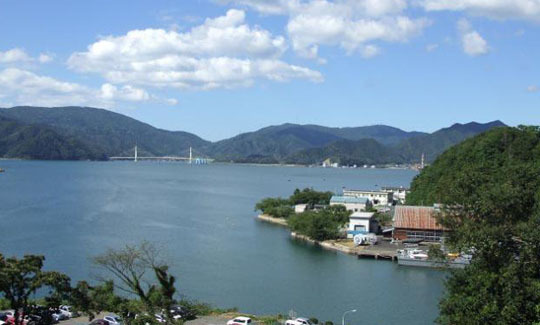 Maizuru has been a naval base since 1901. 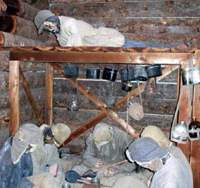 Many of the barracks and other buildings were constructed at the turn of the 20th century using red brick, which was unusual in a country that had traditionally used wood for building construction. Today, some of these old brick buildings remain, and Maizuru’s World Brick Museum is housed in one. Inside the two-story museum, visitors can find photos and descriptions of how the art of building brick structures has evolved over the centuries, and explanations of how craftsmen design curved brick archways that seem to defy the laws of physics. On display are building bricks used in ancient Mesopotamia, Egypt, Rome, China and the Andes. The museum also explains how Japan adopted red-brick building technologies during the Meiji (1868-1912) and Taisho (1912-26) periods, most notably in the construction of Tokyo Station. Although it’s primary function is as a naval base, Maizuru is not just for military and history buffs. Its white sands and relatively quiet beaches attract beach bums from all over the Kansai region. 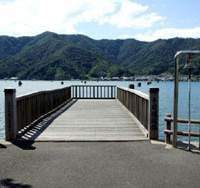 Three swimming areas, Kanzaki, Ryuguhama and Nohara are great getaways from the crowds and concrete of Kansai’s major cities. Getting around Maizuru can be problematic for those without a car, though, as the sights and museums are spread out over a wide area. 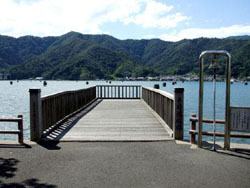 One option is to hire a taxi for a couple of hours for a flat fee of ¥5,000, which is enough time to visit the Repatriation Museum, memorial park, and the original landing dock for the repatriation ships, as well as see the Red Brick Museum and take a few pictures of the naval ships from outside the base. Inquire about arranging a taxi tour at the Maizuru tourist information center at Higashi Maizuru station. As well as being an escape from the crowds and temples of Kyoto, and giving you the outside chance of bumping into a North Korean spy, the attractions of Maizuru — historical and otherwise — guarantee a good time not only for history enthusiasts but anyone with an active imagination. Maizuru Repatriation Memorial Museum and Park (tel: 0773-68-0836); ¥300 for adults, ¥150 for students). Maizuru Naval Museum (tel: 0773-62-2250); Tours are between 9 a.m.-4 p.m. on weekends and holidays. World Brick Museum (tel. 66-1095); ¥300/¥150, open 9 a.m. to 5 p.m. daily, closed during New Year.